The Seymour Duncan Invader Model Bridge Black Humbucker Pickup Black is the tried and true solution for guitarists who seek the heaviest metal tone imaginable. The Invader bridge’s power comes from the combination of specially overwound coils and three large ceramic magnets, along with its striking oversized metal oxide pole pieces. These expand the overall magnetic field and widen the frequency spectrum, which is why every note played through an Invader sounds so rich. 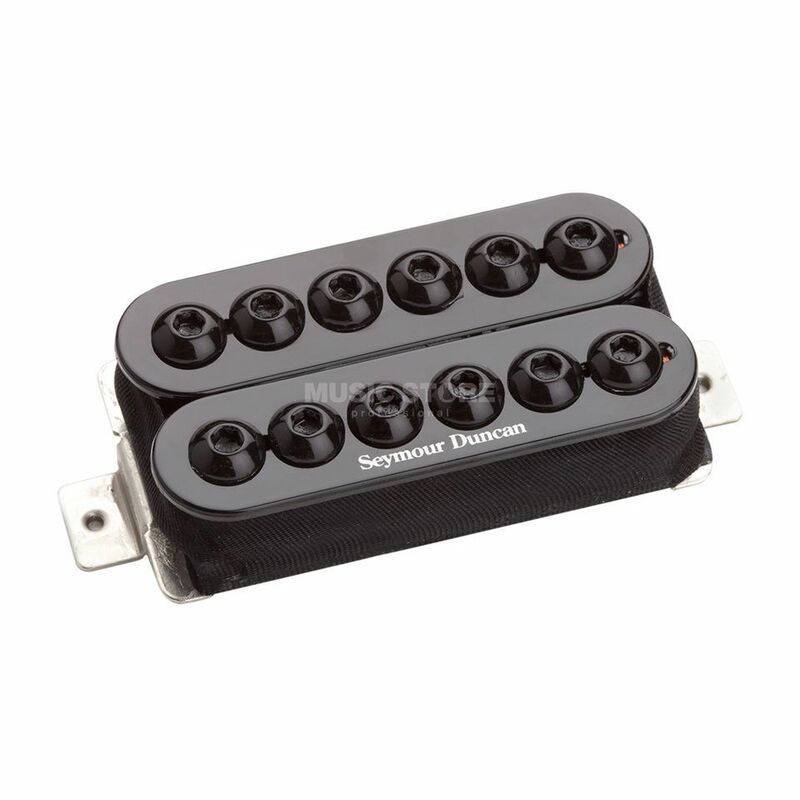 It delivers the thickest and deepest low end response of any passive pickup Seymour Duncan make. Chords sound deep and almost subsonic with lower tunings and balance nicely with the crunchy treble that keeps everything well defined. Hand built in Santa Barbara, the Invader uses a three large ceramic bar magnets, oversized metal oxide poles, nickel silver bottom plate, 4-conductor lead wire for multiple wiring options, and is vacuum wax potted for squeal-free performance.